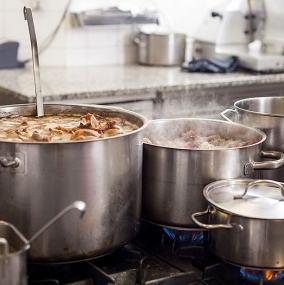 No pro kitchen is complete without saucepans hire for temporary events. 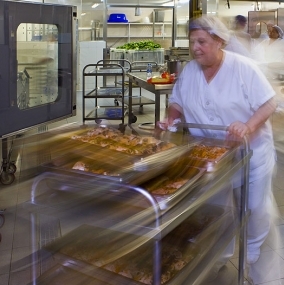 Clearing & tray stacking trolleys for hire for your large catering event. Kitchen prep and polytop tables available for hire in large quantities. 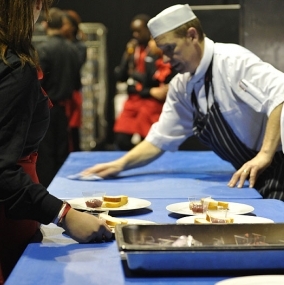 Organising an event such as a wedding, conference or exhibition for which you will need to hire catering equipment UK? You are in the right place, as our catering accessories section contains items that you are sure to need to make your hire event run smoothly and efficiently. Event Hire UK can supply an array of saucepans, trays for hire and different styles of tables for hire for use in the kitchen or temporary kitchen for your event. Work With The Catering Accessories Hire Experts Today! Allow us to work with you to provide you with the perfect range of catering equipment for hire - it is what we are specialists in! We have years of valuable experience in the industry which, combined with competitive pricing, an expert and professional delivery team and a customer service team who are dedicated to providing you with unrvialled levels of service, means that we are a hire industry award winning company for a reason. Why not read what some of our clients have to say, browse our extensive ranges and then contact us - we look forward to being able to assist you.